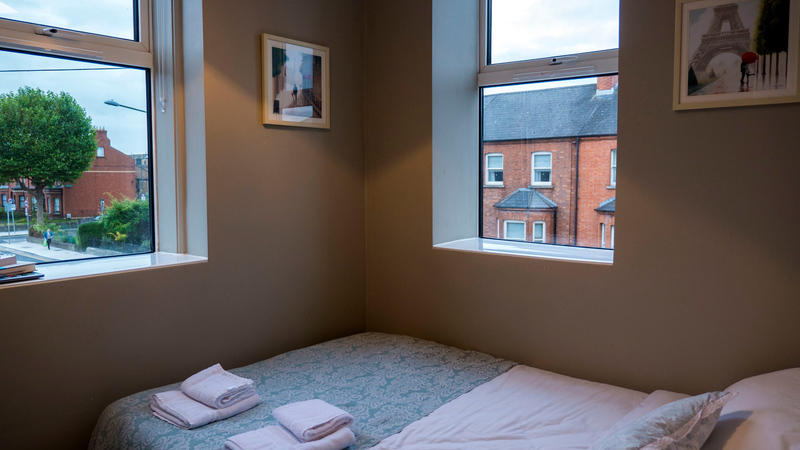 Why not choose short stay apartments in Dublin during your trip? I love switching up my accommodation choices when travelling around the world. 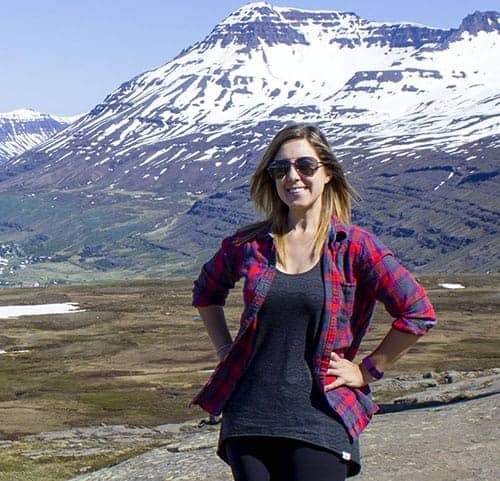 I’ve stayed in hotels, guest houses, pod rooms, a cabin in the jungle, a treehouse, glamping tents, and even airport benches or the car (I don’t recommend these last options!). During a city break, I love staying at Airbnb apartment rentals. There’s something truly unique about spending the night in a fully furnished home. Every apartment has its own character. It’s almost like a friend welcoming you into their home for the night so you can gain a truly local experience. As I completed a massive three week road trip around Ireland and Northern Ireland, my journey began and ended in Dublin. My flight arrived and departed from Dublin’s international airport, so it made sense to spend a day on either end of the trip in the city. Dublin served as the bookends to an incredibly memorable and fascinating trip. 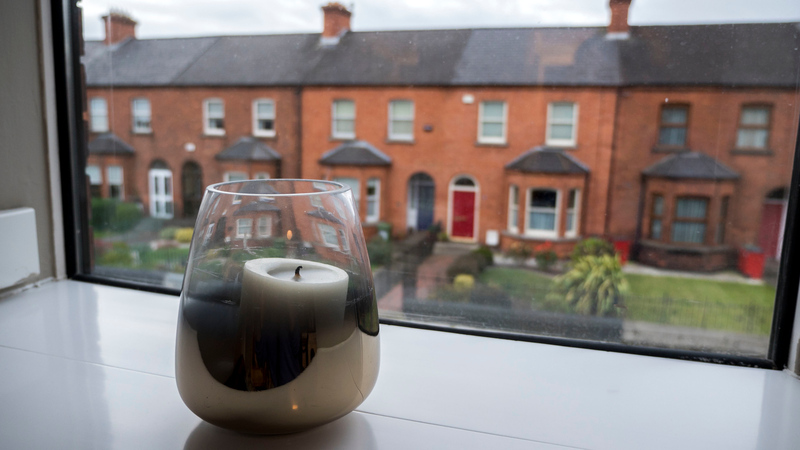 It made sense to check out the apartments for rent in Dublin, Ireland. 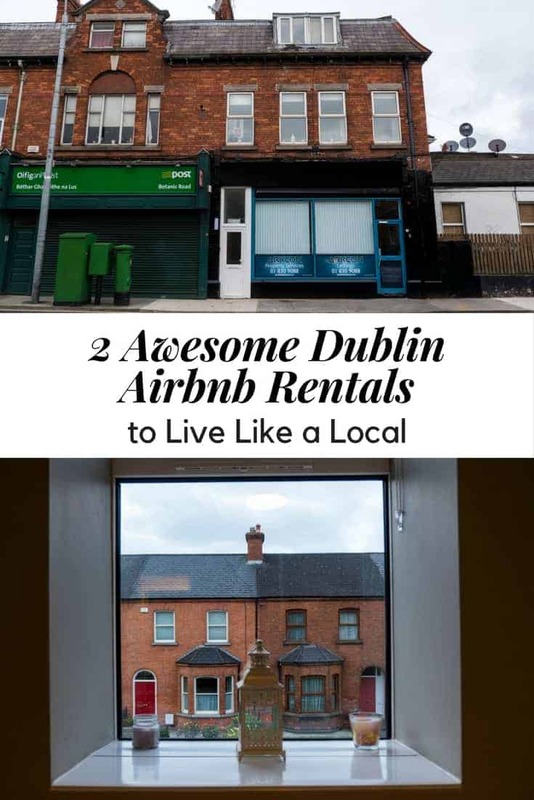 While there are a vast number of Airbnbs in Dublin, I stayed in 2 awesome Dublin Airbnb rentals where you can live like a local. Haven’t stayed at an Airbnb before? I highly recommend that you give it a try! Visit my link so I can give you $50 off your first booking! 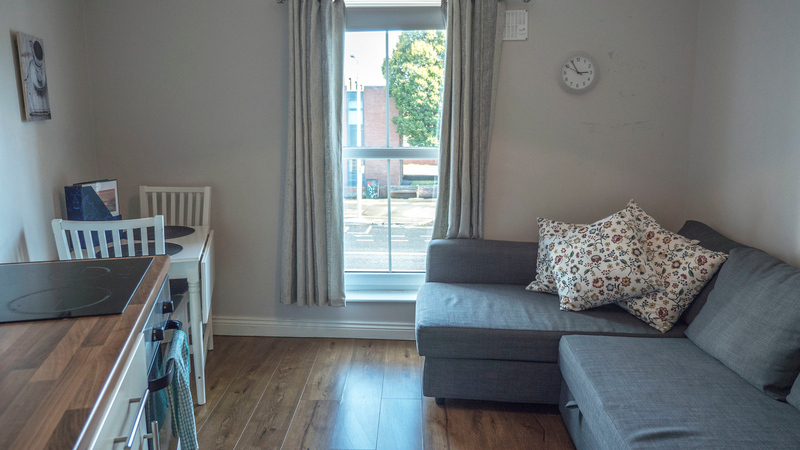 Both apartments were a short walking distance from the Dublin city centre, and both were in unique, charming neighbourhoods. 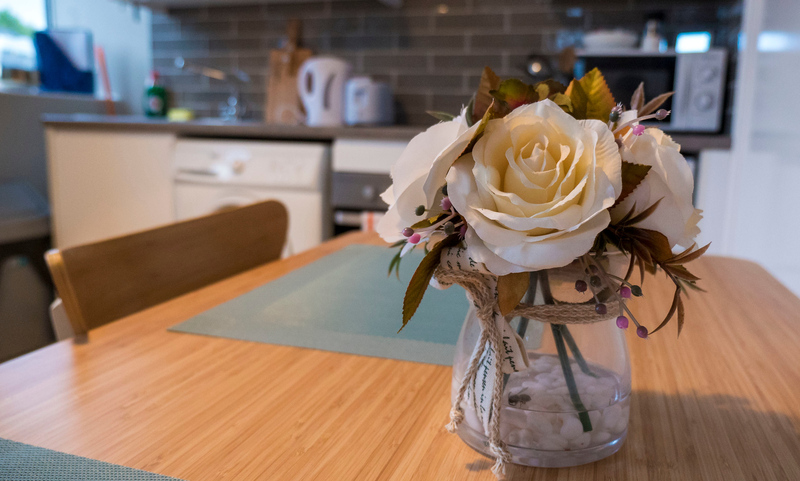 Here’s everything you need to know about these Dublin Airbnb holiday apartments for your upcoming travels. 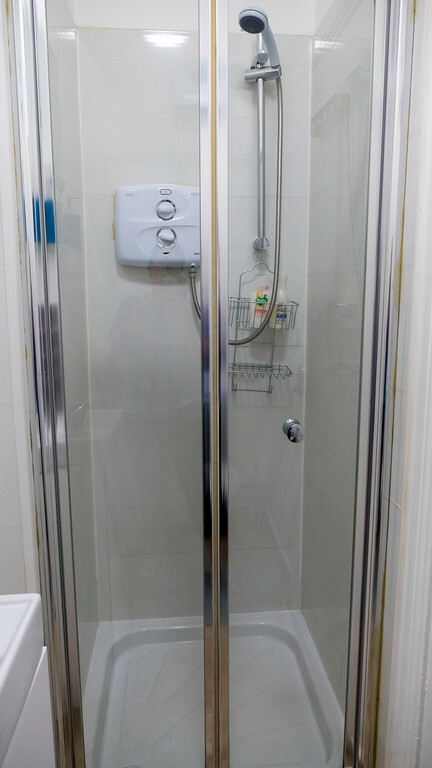 At this two bedroom Airbnb apartment on Botanic Road, you’ll have access to the entire flat. 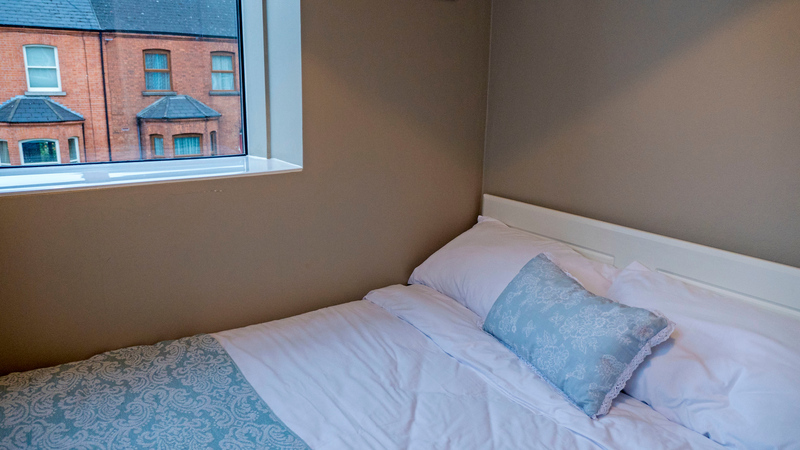 Sleeping up to four guests, it will be your home away from home. 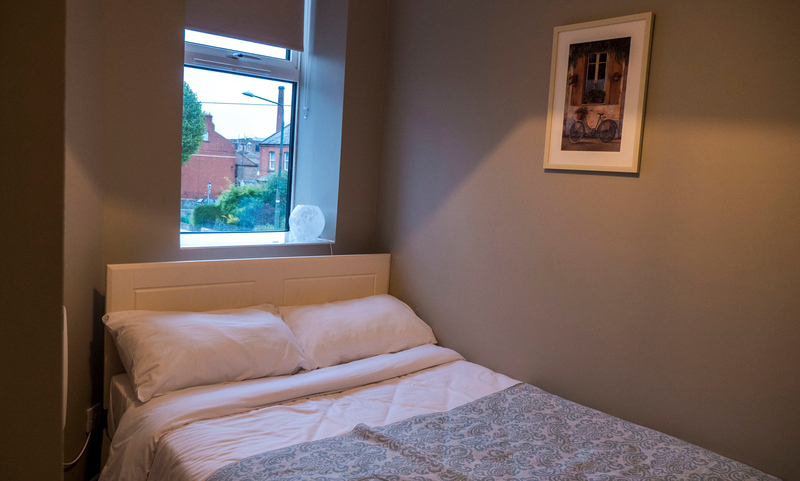 This Dublin Airbnb is fully furnished with everything you need for a comfortable stay. 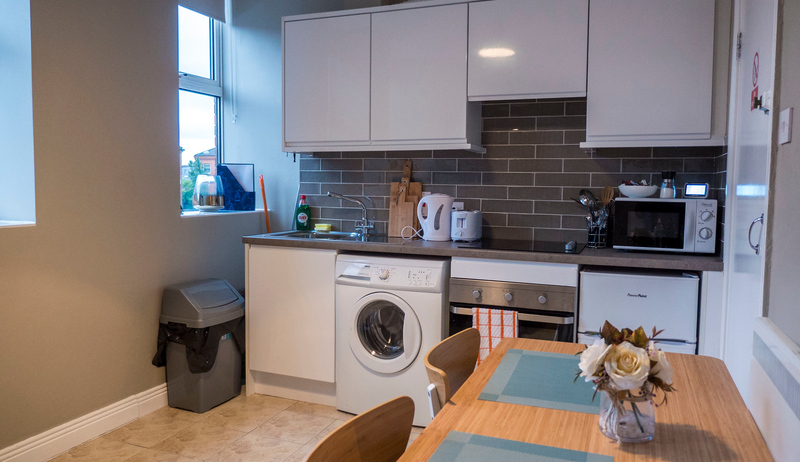 In the kitchen, you’ll find a fridge, oven, cooktop, a kettle, a toaster, cutlery, and dishes. Everything is there in case you want to cook a nice meal in your temporary home. There are two cozy bedrooms with comfortable beds for a restful night’s sleep. 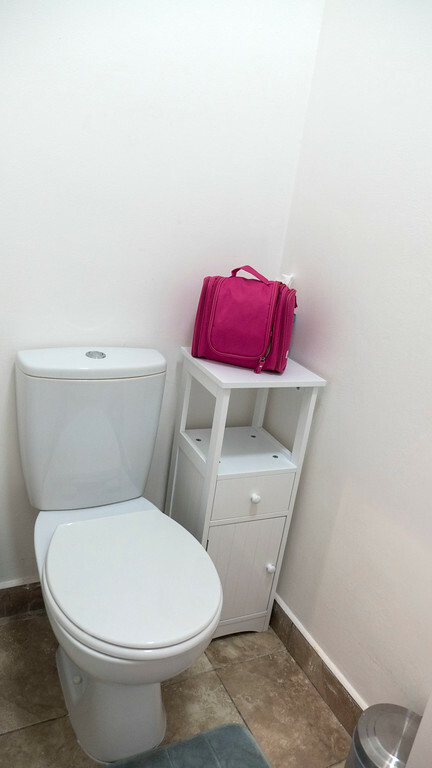 The owner will provide sheets and towels, so there’s no need to pack these things with you. 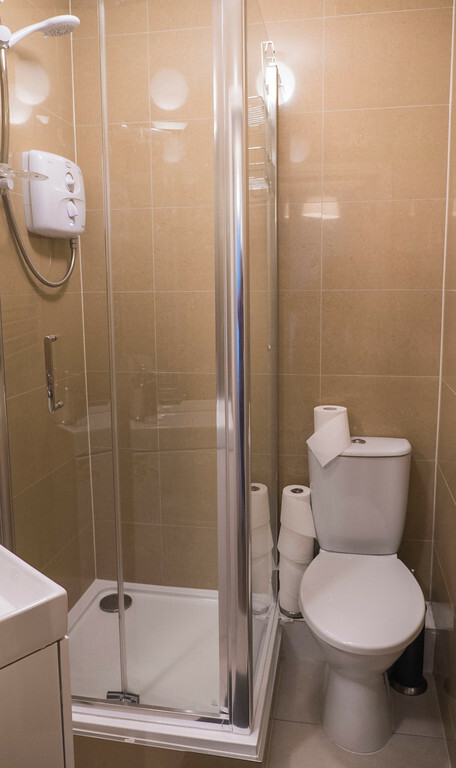 In the bathroom, you’ll find a shower with great water pressure, as well as ample shelving to store your toiletries. I adored the views from the windows overlooking a quaint city street. 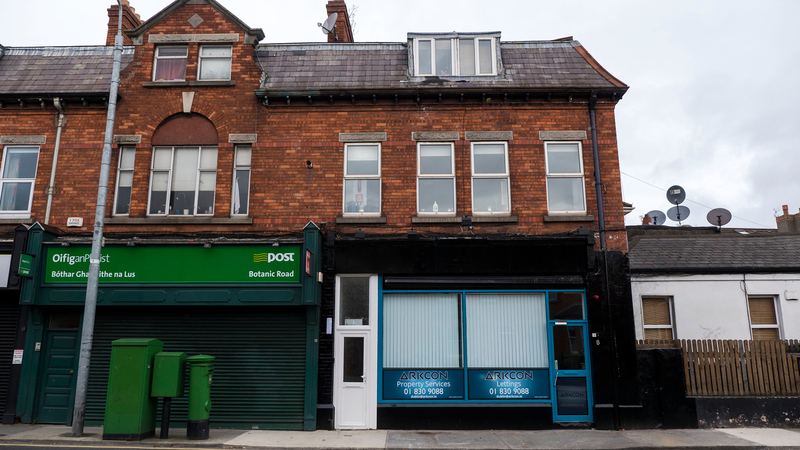 This location on Botanic Road truly feels as though you’re living in a small town outside of Dublin. However, you can easily walk to the middle of town in no time at all. Furthermore, the apartment is within walking distance to the National Botanic Gardens. If you have a car, please note that there is street parking available for free during the overnight hours on nearby side streets. If you need to store your vehicle somewhere all day and night, you’ll need to find a parking lot. We found that the best and cheapest solution was storing our car in an underground, secure lot at a nearby hospital for 15 Euros (24 hours of parking). 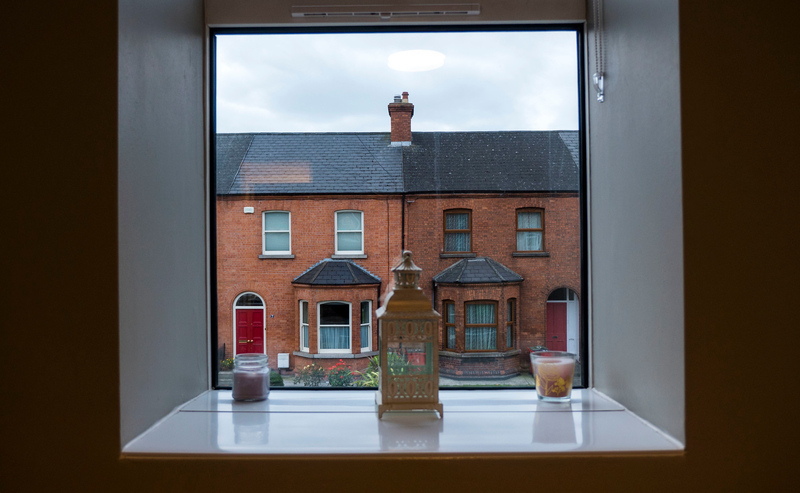 This Dublin Airbnb is on the second floor of a building, up a flight of stairs. It was no problem for us to carry our bags up a flight of stairs, but please keep this in mind if you have mobility issues. And thankfully for those of us who are bloggers or love staying connected, the Wi-Fi is free and fast. 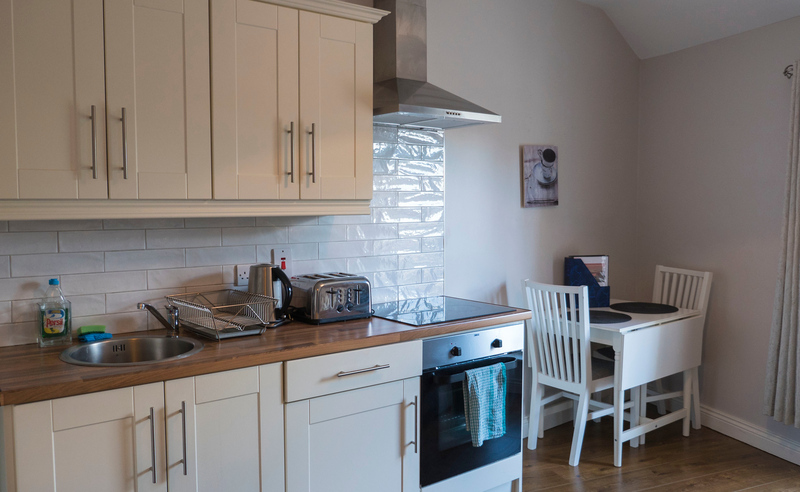 If you’re looking for an affordable holiday apartment in Dublin that’s within walking distance of every attraction but has a small town vibe, this Botanic Road Dublin vacation rental is the one for you. 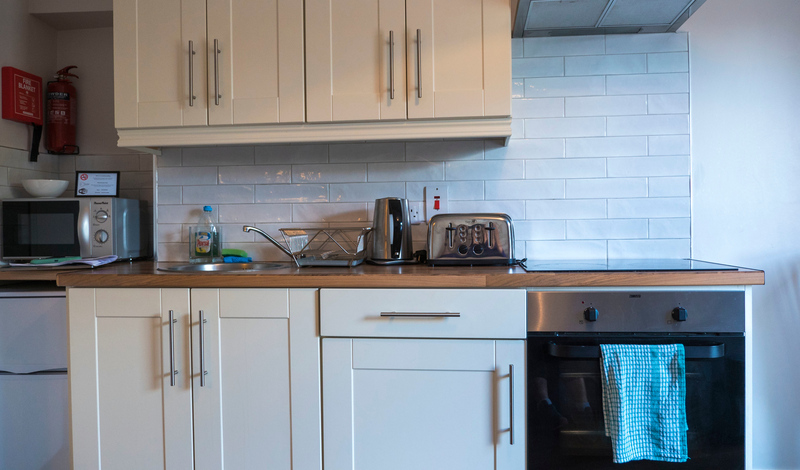 For an even more convenient location closer to Dublin City centre, check out this two bedroom apartment near Croke Park and Connolly Station. 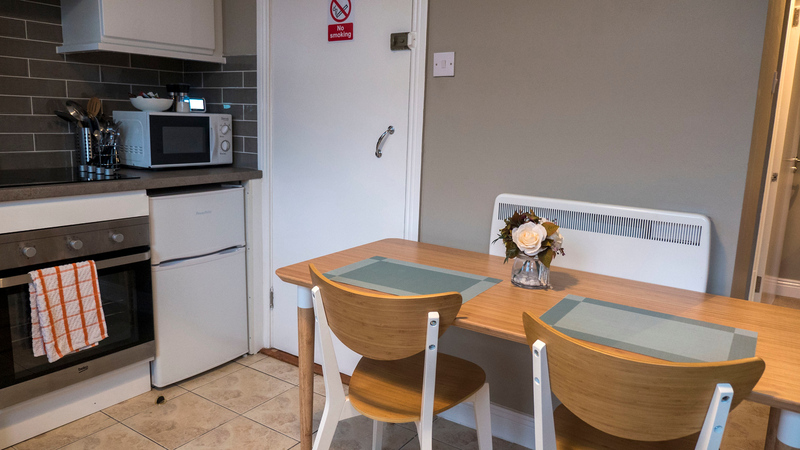 This Dublin Airbnb rental has more of a bustling urban vibe outdoors, and feels like your own hip apartment in the middle of Dublin. 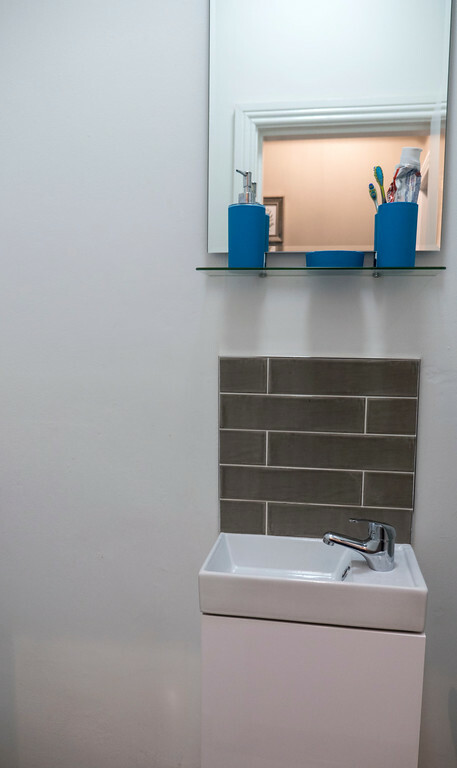 It’s a newly renovated apartment that’s bright and clean. 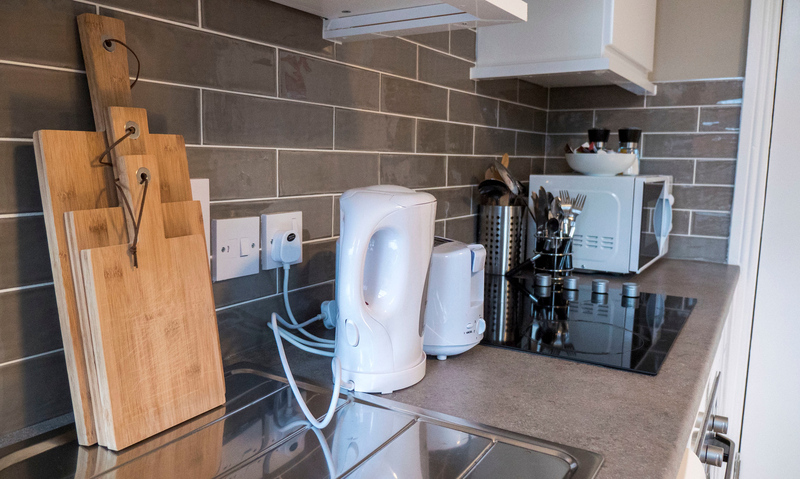 In the kitchen, you’ll have everything you need to make a great meal, including a fridge, stovetop, oven, kettle, toaster, toaster oven, dishes, and utensils. There’s a small kitchen table to enjoy your meal, as well as a comfortable couch with a chaise lounge to relax after you’re done eating. 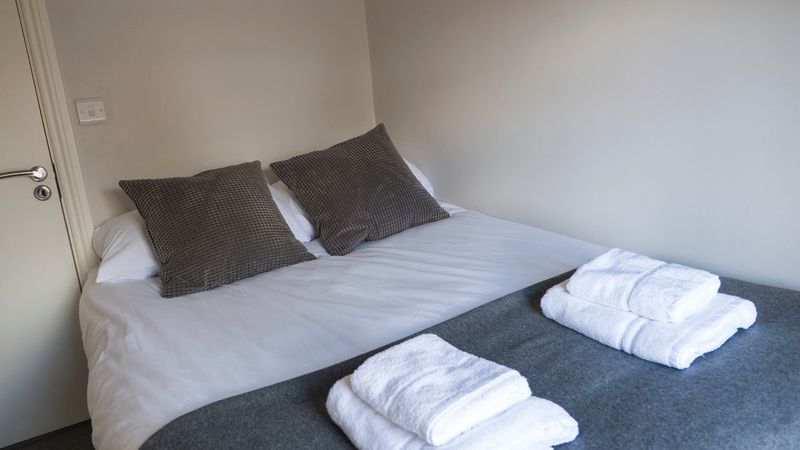 Similar to the other apartment, all sheets and towels are included with your stay. 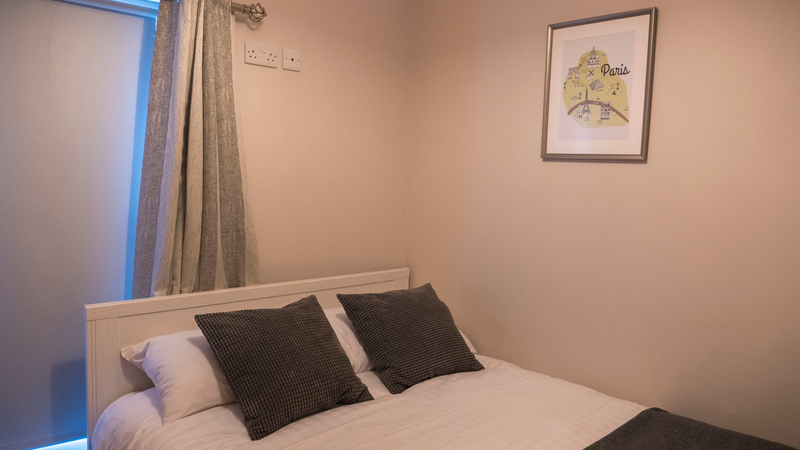 There are two bedrooms with cozy and comfortable beds for a soothing night’s rest. Up to four people can stay here. The walls are adorned with cute images of London and Paris to fuel your wanderlust. 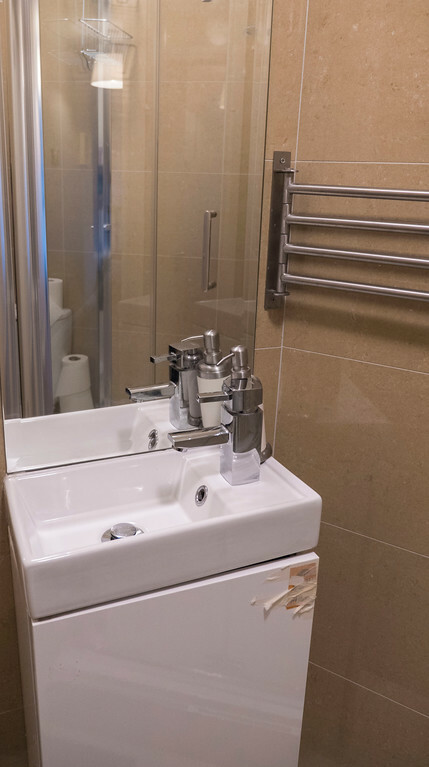 The bathroom has a shower, a toilet, and a sink, with space for your toiletries beneath the sink. This apartment is up one flight of stairs. We were able to navigate these without any problems, but it’s something to keep in mind if you have mobility issues. We parked our car right outside of the apartment on the street. After 6pm, parking is free until 7am the following day. In the evening, we were able to pre-pay for two hours of parking, which allowed us some extra time to sleep before heading to the airport. From the apartment, we walked to the city centre within 10 minutes. 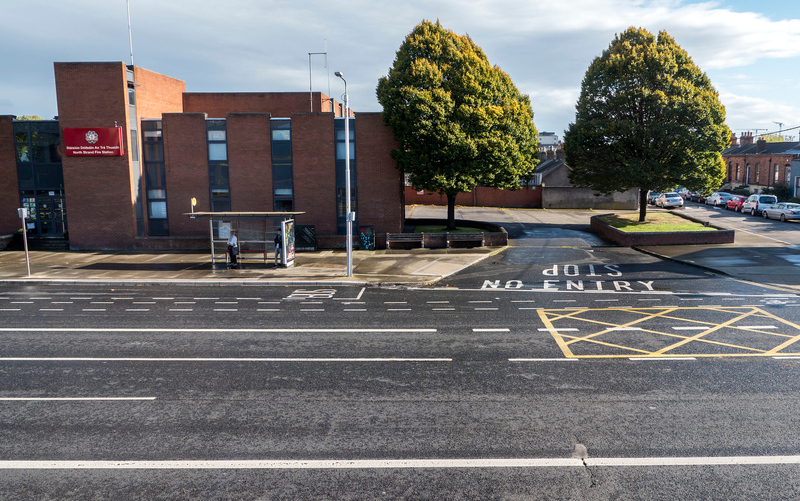 If you would rather take public transit, the accommodation is really close to Connolly Station and the bus terminal. The Wi-Fi at the apartment is included with the stay and the connection is reliable and fast. 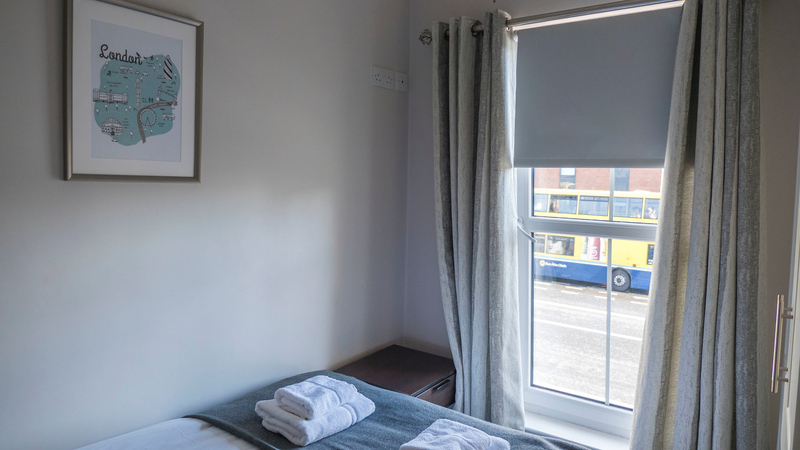 If you’re searching for an affordable Dublin Airbnb apartment that’s within walking distance of everywhere, you should definitely book this one! 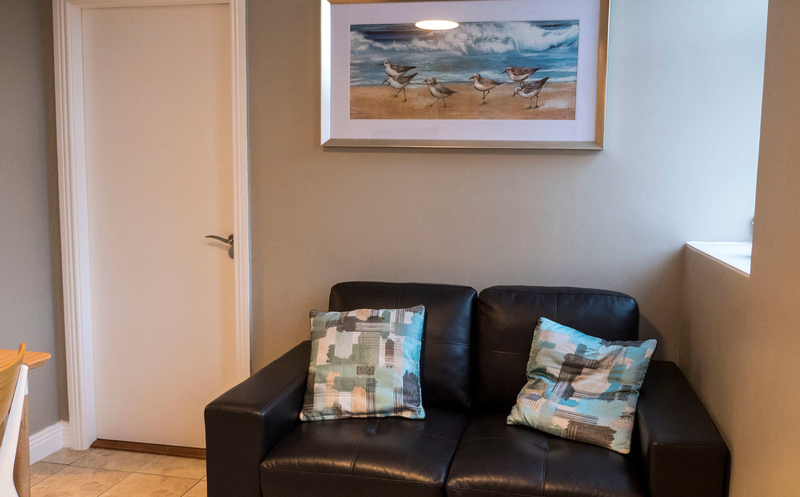 The owner of both apartments, Celine, is always helpful and quick to respond if you have any questions. 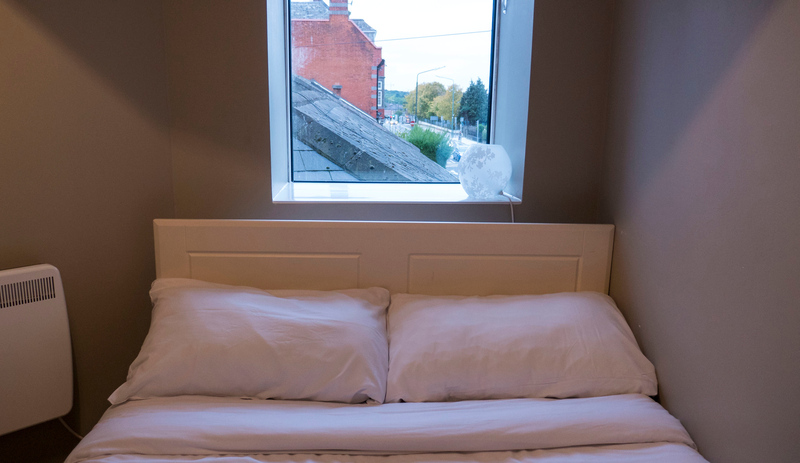 We felt right at home staying at these two Dublin Airbnb apartments, and so will you. If you have any questions about the apartments, please contact Celine: fairviewsa@yahoo.com. 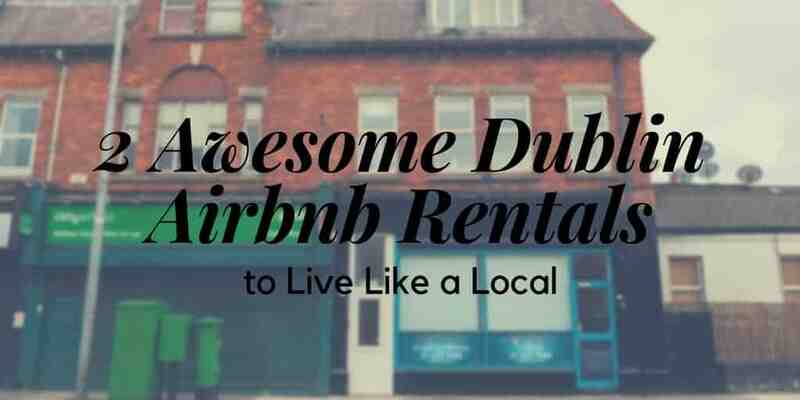 I highly recommend checking either of these short stay rentals out when you travel to Dublin. 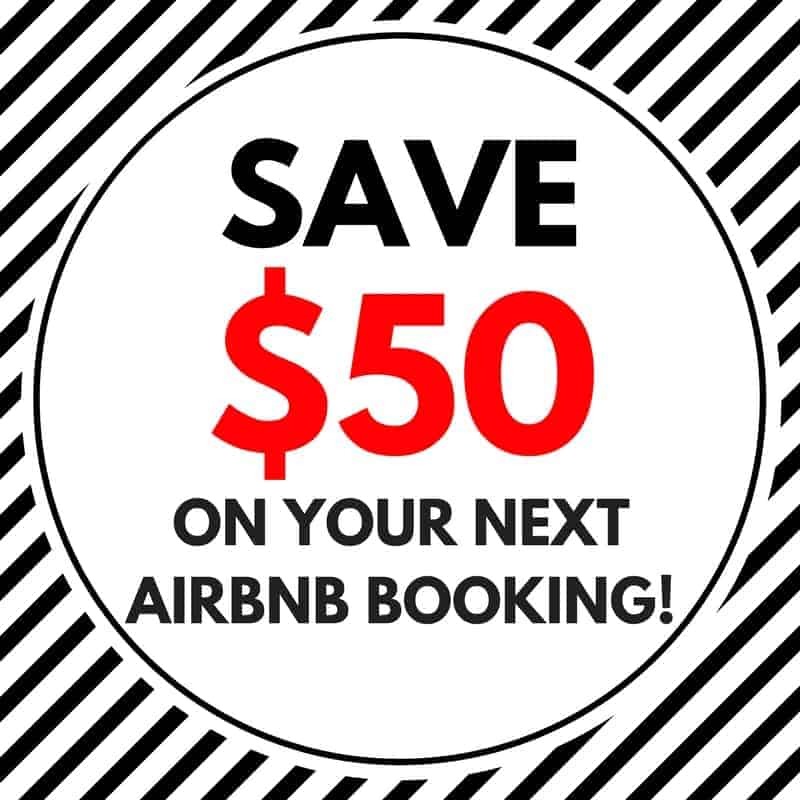 And if you’ve never used Airbnb before, be sure to sign up using my link to receive $50 off your first booking. Thanks so much to Celine for hosting my stay. My opinions, as always, are entirely my own. I loved both of these apartments equally and if I had to choose only one…it would be a difficult choice! What are some of your favourite Airbnb or apartment rental experiences?